Veere Di Wedding is still going strong at the box office and has in now inching closer to Rs 70 crore mark in India. The film, which opened to mixed reviews from the fans and critics, is now among the highest grossing films of 2018 and is also the highest grossing chick flick Hindi film of all time. According to trade analyst Taran Adarsh, Veere Di Wedding maintained its stronghold at the box office over the second weekend by collecting Rs 12.72 crore thus taking the total collections of the film to Rs 69.68 crore. ‘Veere…’, which marks the comeback of Kareena Kapoor Khan after two years, has emerged as a success story at the box office by even surpassing the lifetime business of some of the most high profile films of 2018. Well, now it’ll be interesting to see how well the film perform in its second week whether it’ll be able to enter the prestigious Rs 100-crore club amidst the release of one of 2018’s most awaited film, Race 3. So far, the only films that have grossed Rs 100 crore or more than that in the year 2018 are Padmaavat, Sonu Ke Titu Ki Sweety, Raid, Baaghi 2 and Raazi. Directed by Shashank Ghosh. 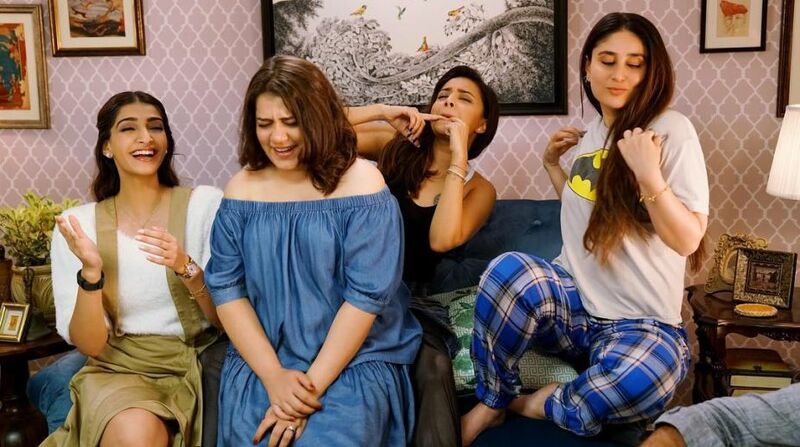 Veere Di Wedding starring Kareena Kapoor Khan, Sonma K Ahuja, Swara Bhasker, Sumeet Vyas and Shikha Talsania was released worldwide on June 1.